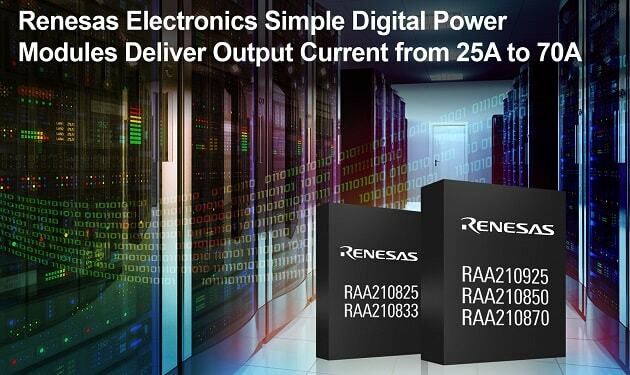 Renesas announced a new family of encapsulated digital DC/DC PMBus power modules. The five RAA210xxx simple digital power modules offer advanced digital telemetry and performance, and are as easy to use as Renesas’ analog power modules. They are complete step-down regulated power supplies that deliver 25A, 33A, dual 25A, 50A, and 70A of output current, while operating from industry-standard 12V or 5V input power rails. The RAA210xxx family provides point-of-load (POL) conversion for advanced FPGAs, DSPs, ASICs and memory used in servers, storage, optical networking, and telecom equipment. 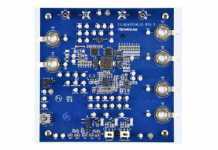 Each device integrates a PWM controller, MOSFETs, inductor and passives inside a thermally optimized, High Density Array (HDA) encapsulated module. All that is needed to complete the power supply are input and output bulk capacitors. If more advanced digital control is later required, upgrading to the pin-compatible ISL827xM modules will enable current sharing with multiple modules connected in parallel, access to all PMBus commands using the PowerNavigator tool, and non-volatile memory for configuration storage. The RAA210xxx simple digital power modules leverage Renesas’ patented ChargeMode control architecture that delivers up to 96 percent peak efficiency and better than 90 percent efficiency under most conditions. 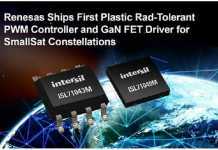 They also provide single-clock-cycle fast transient response to output current load steps, which reduces capacitance and saves cost and board space. The PowerCompass tool helps users quickly identify the right power modules and other parts that match their specific requirements. Multiple power rails can be set up for more than 200 FPGAs, and designers can perform high-level system analysis and generate custom reference design files in minutes. The PowerNavigator tool allows designers to set up the simple digital power module’s sequencing, telemetry and real-time configuration. 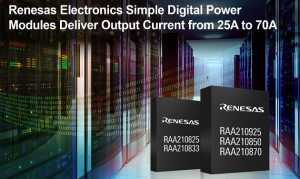 The RAA210xxx simple digital power modules and evaluation boards are available now from Renesas Electronics’ worldwide distributors. Module prices range from $18.38 USD for the 25-amp RAA210825, up to $51.75 USD for the 70-amp RAA210870 in 1k quantities. 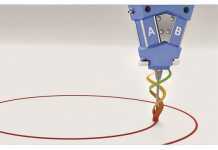 For more information, please visit: renesas.com.